Dominaria is fully released and the new Standard format is in full swing. Even though we’re only a few weeks in, it’s getting more and more difficult to shake the overwhelming feeling that the new set is one of the absolute best we’ve seen in a real long time. Needless to say, it’s a real exciting time to be a Magic player. Of course, the excitement of a new set only lasts so long, but it’s during this honeymoon phase when the very best players are testing and tuning their builds and developing new ones. So to help you keep up, I’ll offer up the 6 most important things you’ll need to know about the new Standard format. Note: While I won’t cover specific deck building tips in this article, you can load up on a heavy dose of professional deck construction knowledge by signing up for the Deck Builder’s Master Class. It features invaluable insights from pro mages such as AJ Sacher, Michael Majors and Matt Severa. I highly recommend it. If you’re interested in learning more about the Deck Builder’s Master Class, click here. #1: Know that UW Control is still the deck to beat. After Rudy Briksza helped his team take down SCG Atlanta with UW Control, variations of his list have been popping up everywhere online throughout the week. Prior to the release of Dominaria, UW Approach was a solid choice for the meta, but it lacked consistency to be ultra competitive. With cards like Teferi, Hero of Dominaria and Syncopate, UW Control is gradually becoming the well-oiled, say-NO machine that we expect of a properly-tuned control deck. At this rate, it’s safe to say that it’s going to remain THE deck to beat for the next few weeks at least. Midrange versions of UW Control are frequently showing up as well, under the label of UW Historic. This deck runs a few more creatures, most notably, Raff Capashen Ship’s Mage. They use Raff to flash in historic bombs, ambushing opponents from left field with bombs such as Lyra Dawnbringer and History of Benalia. Watch out for UW Historic as well. It’s a powerful deck with a ton of answers that can railroad even the fastest, most linear decks. All that said, while UW Control took a back seat to RB Vehicles at GP Birmingham, you should still tune your build to have ways to beat UW Control. As the Dominaria Standard meta continues to evolve, it will remain one of the top 3 Tier 1 decks for weeks to come. 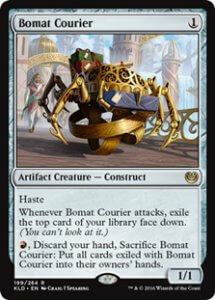 Bomat Courier hits early and often, and he’ll continue to lead Mono Red and R/B to lightning fast starts in Dominaria standard. With Control on the rise again, you can be sure that Mono Red, Mono Green and the various Vehicles builds will be seeing a good amount of play. If you’re seeing a lot of control in your meta, then one of the best ways to win is by going under them with an aggressive strategy. For those of you who don’t like to play aggro, you can expect to see more of it as long as Control remains viable. Be sure to have flexibility in your sideboard to be able to survive excessively fast starts from your opponent. Uncommons such as Cast Down and Seal Away are two of the newest instant speed removal spells that can knock out some huge threats for just two mana. If Glorybringer and Rekindling Phoenix have been your boys over the past few months, you need to be extra careful before attacking an opponent who has at least 1B or 1W open. As good as Cast Down and Seal Away are, don’t forget that Unlicensed Disintegration is still the second-best removal spell in Dominaria Standard, second to only Vraska’s Contempt. As always, be mindful of your opponent’s open mana before attacking – but even more so now. 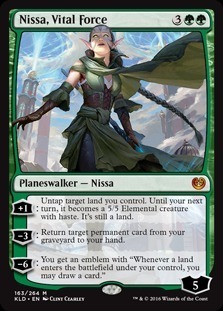 If there was ever a Standard format where Planeswalker-super friends decks could be competitive, this is one of them. Thanks to Teferi, his Oath, Karn Scion of Urza, and all of that great removal we just mentioned, we’ll likely see a couple super-friends decks. These decks can be practically impossible to stop once they resolve two of their 7+ planeswalkers and have Oath of Teferi out, so you’ll need to be as proactive as possible against them. Hand disruption and counter magic out of the sideboard are your best routes to success against a super friends deck. All this talk about The Scarab God’s reign of terror coming to an end with Dominaria is just plain wrong. With Lyra Dawnbringer stealing the spotlight and Rekindling Phoenix still roadblocking players, The Scarab God remains an incredibly strong answer to larger threats. Continue to play your Scavenger Grounds and be mindful of what creatures end up in your graveyard when blue and black mana sources are lying on the table across from you. #6: EDIT: Karn is the real deal, but beware the ban hammer. When I originally wrote this newsletter, the verdict was still out on Karn. 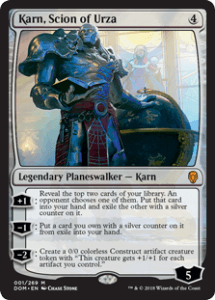 Just a week and a half ago we knew that Karn was a solid planeswalker and that he definitely had a home in Vehicles builds, but one of the concerns was whether or not he could drive enough value through his “card advantage” abilities to be worth the price tag. The other big concern lies in the fact that his CMC is 4, which is typically the most competitive slot in almost any build. What we’re finding is that Karn really does drive some serious value on the battlefield – and so much more. He may “spin his wheels” a bit when you activate his +1 ability two turns in a row, but doing so, more often than not you’ll end up trimming the fat from your deck and have an obstinate card advantage engine that is incredibly difficult to get rid of. And because Karn is so difficult to get rid of, in many cases your opponents will be discouraged from attacking him. 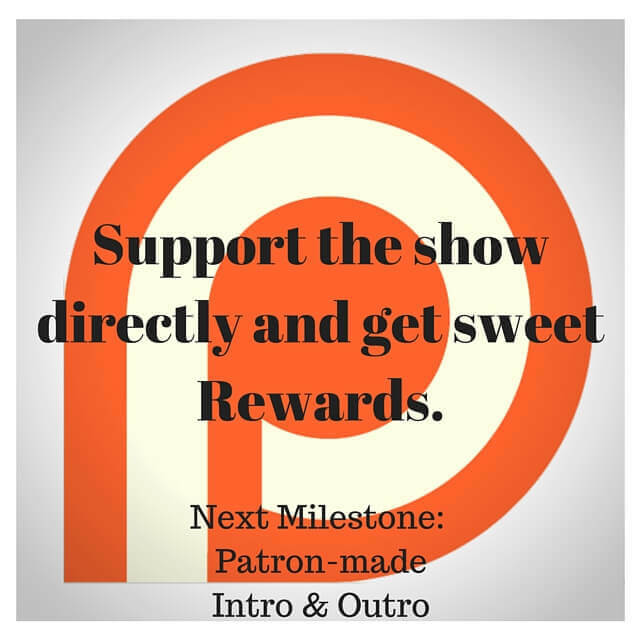 As of the time I’m writing this, Karn, Scion of Urza has spiked to $60, and he’ll likely go up a bit more. You can obviously play him in decks of any color, and as such we’re seeing him pop up in both Standard and Modern. That’s also a reason to be cautious about investing in him. The problem with his growing omnipresence is that we’ve seen Wizards ban cards that are too ubiquitous in the meta (R.I.P. Smuggler’s Copter). Even though they’ve banned more cards from Standard in the past year and a half then they have in the past 10, AND even though Dominaria is still brand spanking new, I wouldn’t be surprised to see them bring the ban hammer down on Karn this year. Tread lightly before buying too many copies. What has you excited about Standard? Tell us all about it below, or share it on the MTG Pro Tutor Facebook Group Page.